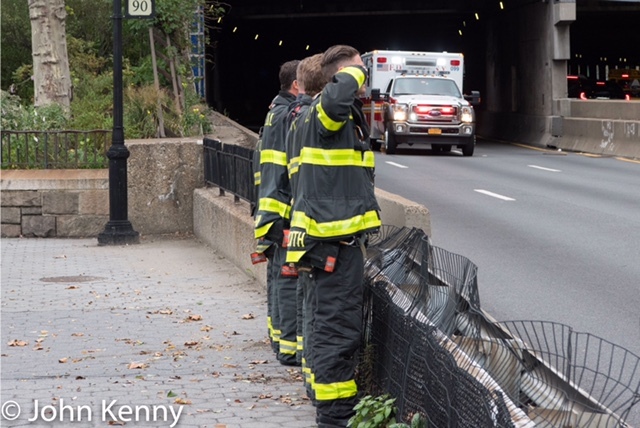 The FDR Drive was a sad trail marked by periodic flashing lights today as fire companies briefly halted their activities, setting themselves in small groups along the Drive to salute their fallen brother. The remains of FDNY Battalion Chief Michael Fahy, killed yesterday in a Bronx house explosion, were moved today from the City Medical Examiner’s office to a Yonkers funeral home. 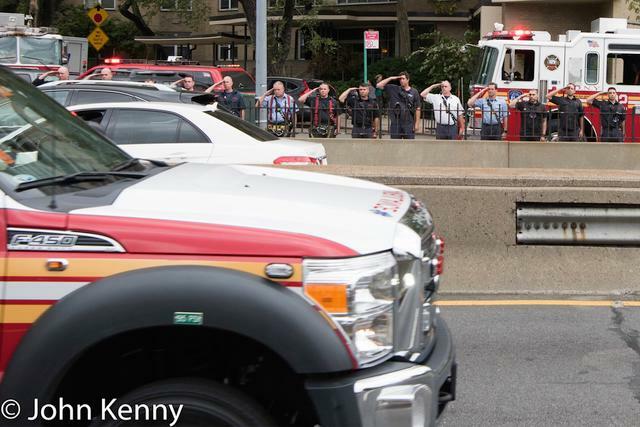 Manhattan fire companies gathered in small groups scattered along the Drive, standing at attention and saluting as the ambulance carrying their colleague passed by. Two engine companies, one ladder company and a battalion chief gathered at 90th Street, standing along both sides of the highway. The blustery winds and dark clouds were barely noticeable, pushed aside by the overwhelming sensory experience of a steady whoosh of passing cars. The firefighters lined up along the guard rail drew horn toots and waves from passing cars, along with an occasional supportive clenched fist. Some firefighters waved in return but their hands rarely made it above their sternum, seemingly weighed down by their loss. There was a false alarm of sorts, triggered by a real alarm. Firefighters briefly snapped to attention as two FDNY trucks, lights flashing, moved up the Drive. As it quickly became apparent that they were responding to an emergency and not part of Chief Fahy’s motorcade the firefighters relaxed. The momentary respite quickly gave way to a silent northbound side of the highway, with traffic blocked as the motorcade approached. Chatter ceased as the motorcade rolled past, firefighters at attention and southbound motorists staring. 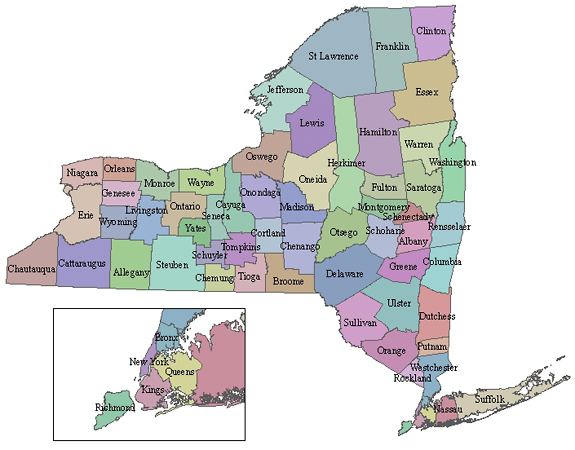 It was soon over, the fire fighters climbing back into their trucks and driving off as the sound of a fire truck siren and blairing air horn drifted across the river from Queens. Our photo gallery of Battalion Chief Fahy’s motorcade is here. 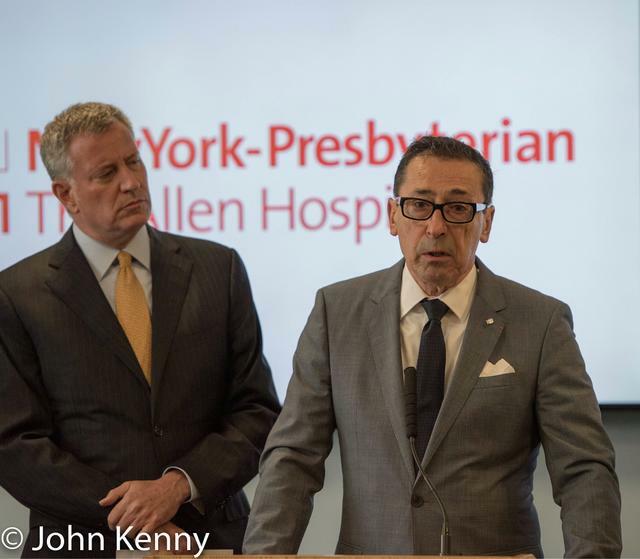 Our report and photo gallery of Mayor de Blasio’s press conference is here. New York City Fire Department Battalion Chief Michael Fahy died in the line of duty Tuesday, killed in a Bronx house explosion. 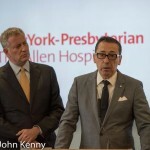 Mayor Bill de Blasio joined FDNY Commissioner Daniel Nigro and other officials at a New York Presbyterian/Allen Hospital press conference to announce Fahy’s death. Shortly after the press conference Fahy’s remains were removed from the hospital and transported to the City Medical Examiner’s Office. More than 100 firefighters present stood at attention, saluting their fallen comrade as the FDNY ambulance carrying his remains passed, with many then joining a motorcade for the sad journey.